Client Goal: A doctor came to Vallmar with a concern about the health of his wrist due to performing endoscopy procedures on a regular basis. He wanted to design an attachment that would help him and other physicians avoid problems such as carpal tunnel syndrome. The Vallmar Approach: To develop this product, the Vallmar team conducted research regarding the sizes, shapes and angles of a typical human wrist. 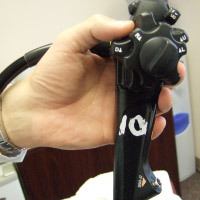 The team then developed an ergonomically friendly attachment for the endoscope that allows users to place their wrist at the best angle for avoiding wrist problems. Result: The inventor is now involved in a large-scale clinical test and is negotiating with endoscope suppliers. Client Goal: The inventor of the single-serving beverage dispenser had already patented his idea. Now he needed manufacturing-ready drawings that included the claims made in his patent. The Vallmar Approach: With extensive engineering backgrounds, the Vallmar team was able to develop a product that would cool room-temperature water to 34 degrees Fahrenheit in seven seconds using a Peltier chip and then dispense the drink. The machine instantly chilled and dispensed beverages without a refrigerator. Result: The inventor was successful in finding high demand for his product. Once Vallmar had developed the idea fully and created a virtual prototype, the inventor took the prototype to a company that immediately offered him $75,000 for a licensing deal. 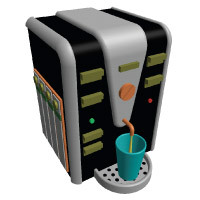 The inventor is now in negotiations with large coffee machine companies. Vallmar continues to provide engineering support; in addition, Vallmar has designed an industrial-sized beverage dispenser to supply demand for the machine in larger facilities. Client Goal: An avid golfer, this inventor was tired of spending large sums of money to change the grips on his golf clubs whenever they became slippery or grimy. He requested that Vallmar develop a product to clean the grips after each game of golf. The Vallmar Approach: Vallmar conducted extensive development to make this idea ready for patenting. After high-quality development, the idea was ready to be patented and moved to market. Result: When determining how best to manufacture this product, Vallmar was able to help the client make a significant reduction in his budget, from $130,000 to $35,000. 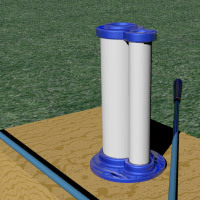 The Vallmar team then built several functioning prototypes. The product is currently in the prototyping development stage, and the inventor is in negotiation with distributors and manufacturers. Client Goal: A doctor wanted to design a catheter than was safer and easier to use. 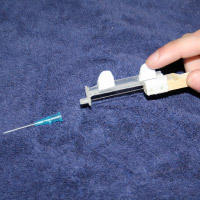 Current designs required that the healthcare worker inserting a catheter use both hands. The worker was at great risk for being poked, leading to a significant danger of staph infection. The Vallmar Approach: The Vallmar team developed, designed and patented a solution. Result: The inventor is in negotiations with three manufacturers and is scheduled for three rounds of clinical testing. Vallmar continues to assist with engineering and technical support. Client Goal: The client needed to develop her product to the stage where it could be patented and fully protected. In addition, she asked for Vallmar’s assistance throughout the commercialization process. The Vallmar Approach: The Vallmar team was able to design the product with unique aspects to be claimed in the patent. To help the client reach the marketplace, Vallmar sent the product’s promotional video to 80 design, manufacturing and distribution companies. Result: Within a week, the client received a call from New York, and negotiations began. Throughout negotiations Vallmar provided the engineering support necessary for an agreement. Today, major undergarment retailers carry the product.